You don’t need to be psychic to predict the future. Sometimes it’s enough to just analyze the present. Bright Side compiled a list of 17 events that will most likely have happened by the second half of the 21st century. 2019: New countries might appear on the map. Bougainville Island in the Pacific Ocean is formally the Autonomous Region of Papua New Guinea. However, in 2019, it may become a separate country, but only if most of the population votes for this decision in a referendum. New Caledonia, which is now a part of France, may also become a separate country. 2020: The construction of the tallest building in the world will be finished. Today the tallest building in the world is the Burj Khalifa in Dubai, but this record will be broken in 2020. By this time, the construction of Jeddah Tower will have been finished in Saudi Arabia. Its height will be 3,303 feet. 2020: The first space hotel will be opened. Bigelow Aerospace is planning to launch a spacecraft that can be a hotel for people from Earth. The tests of such aircrafts were successful, and one of them is even used by astronauts in the ISS as a storage room. 2024: SpaceX rocket will go to Mars. SpaceX, the company that was founded by Elon Musk in 2002, is planning to send a cargo spaceship to the red planet. Later, they want to send the first people there. 2025: The population of Earth will be 8 billion people. According to the UN’s predictions, the population of our planet will be 8 billion people by the year 2025. By the year 2050, so experts estimate, there will be 10 billion people. 2026: The Sagrada Familia cathedral in Barcelona will be finished. The construction of this cathedral started in 1883. The biggest problem is that designing special stone blocks is necessary, and it takes a long time to make even one. They require a lot of individual attention. 2028: Venice might become uninhabitable. It doesn’t mean that the city will be completely underwater (it might happen, but not before the year 2100). However, there are concerns that the water level in the Venitian lagoon will raise so much that it will be impossible to live in the houses. 2029: The Apophis asteroid will come as close as 23,860 miles to Earth. According to the first estimations that scientists made, the probability of the asteroid colliding with Earth in 2029 was only 2.7%. However, later it was completely ruled out, which can’t be said about future times when the asteroid will come close to our planet. 2030: The area of the Arctic ice sheet will be extremely small. 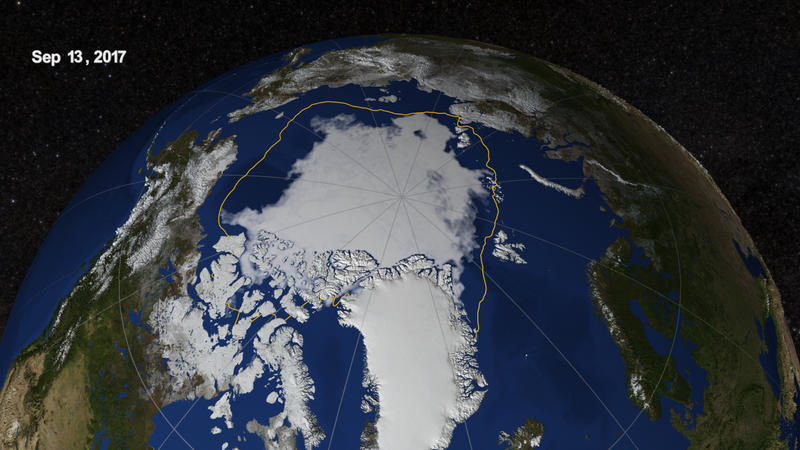 The area of the Arctic ice sheet is decreasing dramatically. According to some estimations, the Arctic Ocean will melt completely in the summer period before the end of the 21st century. 2033: A manned mission to Mars will start, and its name is "Aurora." The program of the European Space Agency is focused on studying the Moon, Mars, and asteroids. It includes both automatic flights and manned ones. Before they send people to Mars, they will send cargo to it and will develop technologies of landing and returning to Earth. 2035: Quantum teleportation will happen in Russia. We have to say this: we are not talking about momentary teleportation of actual objects through space. Quantum teleportation means creating a reliable system of communication that will transfer the polarized state of photons in space. 2036: Probes will start their journey to research the Alpha Centauri star system. The Breakthrough Starshot project is sending a fleet of spaceships to the closest star. The ships will have solar sails, and it will take them about 20 years to get to the Alpha Centauri system and about 5 years to inform Earth about the successful arrival. 2038: The US National Archives will declassify the mystery of John F. Kennedy’s assassination. Despite the fact that John F. Kennedy’s assassin is believed to be Lee Harvey Oswald, this version still raises many questions. There are many people who don’t believe it. Nevertheless, the information about the assassination was classified until the year 2038. There are probably good reasons for that. 2040: The International Thermonuclear Experimental Reactor will be put into operation. The construction of the International Thermonuclear Experimental Reactor was started in the south of France in 2007, 40 miles away from Marseille. This reactor is much safer than traditional nuclear reactors because, in case of an accident, the emissions will be insufficient and an evacuation will not be necessary. 2045: It will be the time of technological singularity. According to people who believe in the theory of technological singularity, sooner or later there will be a moment when the technological progress will be so complex that it will be impossible to understand. Some people think that this will be the moment when humanity will be integrated with machines, leading to the appearance of a completely new type of people. 2048: The moratorium on mineral extraction in Antarctica will be lifted. 2050: The colonization of Mars will start. It is believed that by the year 2050, there will be colonists on Mars. They might come to the Red Planet as part of the Mars One project, but scientists will have to solve many problems before that. However, there are people (for example, Steve Wozniak) who believe we won’t go to any other planets. We’ll see.